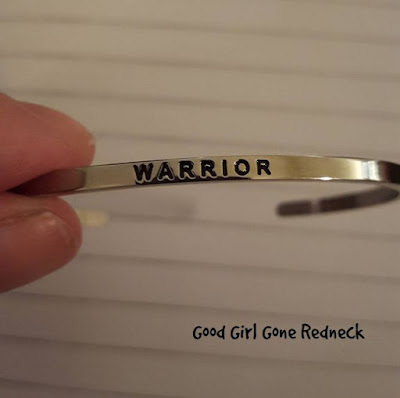 Good Girl Gone Redneck: I Am A Warrior. On Monday I returned home from a weekend in Boston. 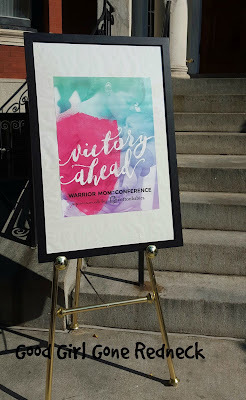 I attended the first Warrior Mom Conference of ever. Katherine Stone of Postpartum Progress, our Warrior-Mom-in-Chief, welcomed us all and reminded us that we - WE - are Postpartum Progress. Not just her. Not just the Board. But all of us. Us. The Warrior Moms. I learned so many things this weekend that you may find yourself reading several posts about the event. I connected with friendly faces, hugging people who hold my heart tightly in their hand and yet I'd never met them in real life before. Squeezing familiar friends who I've hugged in totally different venues. This. This was an experience beyond what words can truly describe. 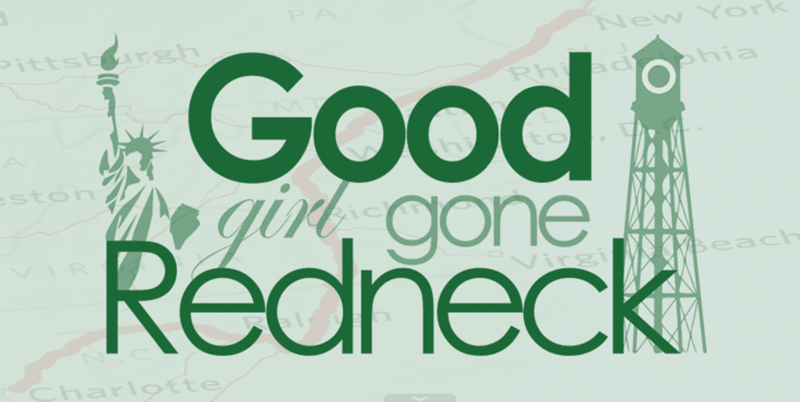 I'm going to recap some of the most important points from the weekend. I'm going to do that here for you so you can breathe in all that I've learned. Absorb it. You may not truly feel the emotional aspects of the weekend - but that's okay - you can still obtain so much. I promise you that. It truly was a blessing to walk into the building and find this sign waiting for us. Thank you, Cotton Babies. For this reminder. And for sponsoring the conference. 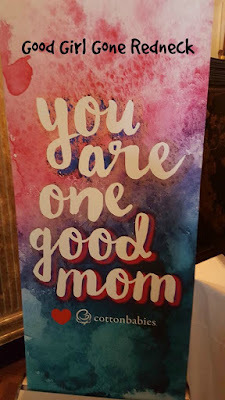 Without you this experience would have been so different for so many mamas. We're all people who thought we'd never get out of bed again. And here we are. In Boston. Together. 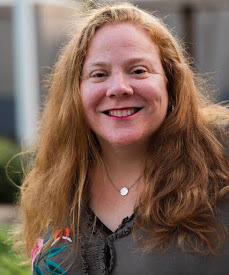 - Susan Petcher, Conference Director, incredible mama, and beautiful friend. We, the women who have had perinatal mood and anxiety disorders, we need each other. We are a group of women who will change things for our daughters. 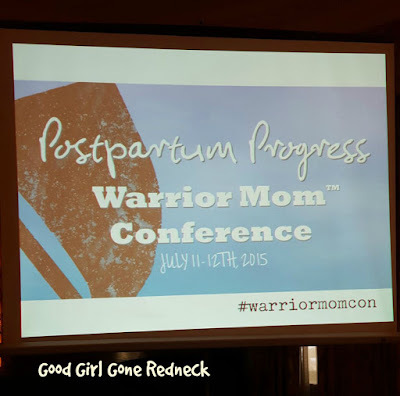 Postpartum Progress supports every mom, no matter what her symptoms are or when they show up. There is still time after your symptoms have faded when you find yourself waiting for the walls to collapse. We know. What causes postpartum depression? It's not you. All mothers are at risk - regardless of age, martial status, other attributes. It doesn't matter. All mothers are at risk. About 20-25% of adoptive mothers experience postpartum depression/anxiety. Paternal perinatal/postpartum depression exists. One in ten dads experience it. 86% of women are walking around untreated. Stressors compile and women receive diagnosis later on (children are older). There is something unique to pregnancy anxiety. Depression and anxiety are more likely to occur in African American and Latina women. There are "two worlds" when it comes to infant mortality rates in the US. Cultural and ethnic factors can contribute to risk, but they can also protect and create a buffer from the severity of stress. We are a culture that sees asking for help as weak. Not as a way of building strength. We know it's not true. Many of us missed the "motherhood club" because we couldn't get out the door. But welcome to the club. It's never too late. I honestly think I need to stop here. Each speaker shared so much with us. So much information. So much support. So much love. Our hearts, souls, bodies, minds - all impacted by the way that this weekend enveloped us in its arms and didn't let go until we had to force our way out and head home to our families. And even then, we, the warrior moms, we hold on tightly to the sisterhood we knew existed - but didn't truly feel until we locked eyes, held hands, tapped shoulders and squeezed tightly. I'm still recovering from this incredible conference. I'm still drained and looking for words. If we're friends on Facebook you've probably seen what I poured out emotionally when I first returned home. If not - no worries - you will see it soon, as I will bring it here. In the meantime, remind yourself, please, that you - mama - if you're out there reading this - you are not alone. Not ever alone. You, too, are a WARRIOR. I'm so glad you got to go and that it was a great experience! Please keep sharing all that you learned! "until we locked eyes, held hands, tapped shoulders and squeezed tightly" - yes! Don't think I've ever been with a group of women I've just met and all this came so easily. But then, we've all come through so much already that was oh so hard. So glad I got to meet you on the journey! Im so so happy you got to go to this. And I totally cried more than once reading little snippets I saw going up on social media. I know it was an amazing event. It was so amazing to finally meet you in person. Thank you for all the takeaways.